Striking while the iron’s hot, the boys discuss the Mega CD… Yup, it’s one of those episodes! Mat’s been knee deep in Gameboy action, getting confused by the apparent love for Adventure island and learning all about German children’s characters through isometric platoformers Die Maus & Ottofant. 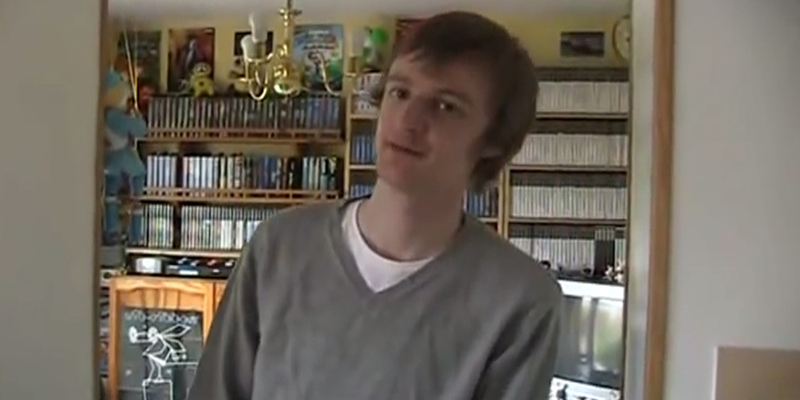 Tom meanwhile has been playing the classic Super Mario Galaxy, Shovel Knight and even a little bit of DMG himself. He did not however, think to ask the important question – Does that game contain Mechanical Dragons? What a disappointment! Through The Dark Portal... Again! It's hard to believe its been almost 10 years since we first stepped foot into Azeroth, but tonight marks the launch of the latest World of Warcraft expansion - Warlords of Draenor! With a raised level cap of 100, new dungeons and raids, garrisons and an intact Draenor to explore it's no exaggeration that some of the Blast Process team are rather excited! We'll let you know our thoughts on the expansion once we have managed to sink our teeth into it, and I'm sure we will have many tales to share of our adventures in Draenor! Blizzard have announced their first new IP in 17 years - Overwatch!!! From the trailer looks to be a pixar styled team based multiplayer shooter - and if the game is anything like the trailer it should be awesome! Blizzard showed some gameplay in a number of themed arenas Egyptian, Japanese and Victorian London - the game has a cartoony style and looks to play like Team Fortress, but with some awesome features like teleportation, wall climbing and close combat, alongside more traditional elements such as crafting turrets. Overwatch is due to have a beta in 2015! More as we hear it!! New expansion to Hearthstone - Goblins VS Gnomes with 120 new cards! Looks to be a hilarious engineer based expansion with such deadly devices as exploding sheep and the Annoy-o-tron! It's due to release next month! Also of interest is the Android version of Hearthstone due out in December! More as we hear it! Ask Matt? Do a mini version of Tom and Matt.....mini trailer? Two min video of what content you'll have...upload to blast process. Agreed?! The site needs more updates, yes were not a 'news' site but we always find some related news piece interesting, so why not post about it? Press releases help us gain review copies! Post about Kickstarter games! Showing willingness and past articles is another great way of gaining, you know, free games! Don't just put on YouTube Twitter etc...post it three times a day on Twitter. Going forward we must post all our content three times a day on twitter (use hootsuite for this) and spread it out over the day. Videos, reviews and all other exclusive content should be carried on to be posted for a few days. This will help us reach a wider audience. Review more games and share it more than once. Destiny Review incoming! Destiny Review is live! see it here. Missed our Destiny Review? Catch up here. Simples. Website news also as industry news. Open up to other things. Will Microsoft's Xboxone Kinect sell on it's own over Christmas? Sony release share 2.0 but can your internet handle it? Arrange a meeting at Google hangout etc? Skype, Google Hangout or something that works... This could help us with the direction on the site and thoughts that people may have. Watch Youtube videos? Do a quick comment, say anything! Get's our name out there and people will click the name and see our videos! Watch our spoof trailer for a automatic bin that opens by it's self with the power of magic, or it's just a sensor. Game Room videos. If there's anything a self respecting video game website should have then it's videos of the site's bloggers showing their wares. So here we are, my Games Room circa 2012...I think. As you may have guessed there's a little story as to why this video's taken so long to appear on the site. Firstly, it was technically never finished as part 3 was never fully edited and secondly the screen ratio of the video got squashed somehow. Part 1: SATURN, MEGA DRIVE, NES, GAMECUBE. Part 2: MASTER SYSTEM, N64, XBOX, MASTER SYSTEM, WII. SEGA have teamed up with the folks over at Humble Bundle to offer a plethora of gaming gems for as much, or as little, as you're willing to pay. You can choose how much of your donation goes where, which includes a number of charities (including UK-based Special Effect who BlastProcess.com has supported in the past).